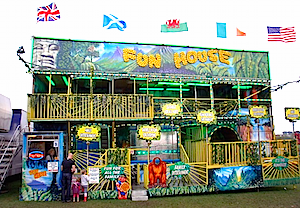 The funhouse is definitely a firm favourite with children! With obstacles and moving parts, it’s a big themed adventure play! 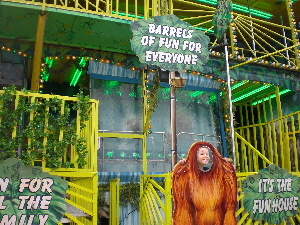 This “lost jungle” themed fun house features moving staircases, jungle vines, a rolling floor, a cakewalk, spinning tunnel and even a waterfall! With so much to keep the kids entertained, they never want to leave! The flashing lights and fun music all add to the exciting party atmosphere.